There were about 45 people in attendance at the meeting as well as the Fire Chief and Bexar County Sheriff’s Office representatives who were there for various presentations regarding the annual meeting for Emergency Service District (ESD) 3 being held later that week and suggestions about dealing with crime in the neighborhood were provided by the BCSO. FIRE DEPARTMENT NEWS: The fire chief noted that due to a step-up or improvement we received in the ISO rating accreditation system which is a ranking system that private insurance companies use to assist in determining homeowner insurance and is reflective of the standard in which an ESD is equipped, manned, response times, experience, etc., property owners should contact their private insurance and see if they may be eligible for an insurance reduction for their homeowners insurance as a result. The system ranks from 1-10 with 10 not necessarily meaning its not a good system, it just may be farther away from municipalities and other services which can help the rating. Receiving a 1 is really challenging and means you are the best of the best. This past year we were moved to a 2 effective March 30, 2017! Previous years we were at a 3 so this is a positive change which may help you lower your homeowners insurance….call your insurance provider to see if you can receive a better rate! Additionally, the fire station #3 which will be built off Canyon Golf which has already been budgeted and plans are underway for, will have 2 engines and a Station No. 106 (or #4) will be going in off East Evans Road to assist with growth in that area and will have a new training center and other features which will continue to enhance our community. BCSO: BCSO provided a crime report update, and offered information regarding the legality of golf carts running on public roadways, curfew for summer months, and suggested if you see a problem in the neighborhood you should call 210-335-6000 and describe the problem for a patrol by if needed. Sgt. Garza offered his phone number 210-559-7580 and e-mail address jgarza@bexar.org , in an effort to provide additional options should a property owner need to be in touch with the BCSO for matters in the neighborhood. Generally, the report by the BSCO listed the neighborhood as one of the safer neighborhoods for which they provide service, and we should all do our part to pay attention and report problems as they arise. BOARD MEMBER APPOINTMENT: Ricky Gonzales was appointed by the board as the newest member of the board replacing Rick Mesa who is moving away from Timberwood Park. Karen O’Neil received a fireman’s coin, similar to the coins that military are given for various units they belong to, service they have provided, etc., from the fire chief for her recent work raising $1,500.00 during the Smoking in the Park event which was donated to the fire department. Ricky Gonzales was largely responsible for cooking and I believe he may have also donated much of the food which was sold in plate form to property owners/attendees which allowed for all the proceeds to go to the fire department. Great fundraiser and worthy cause! FINANCIALS: Attendees were provided an aging report on revenue available but not full financials. There was a brief discussion about the report and a property owner asked for more thorough financials which explain expenditures and other detail not just an aging report in the future. PARK MASTER PLAN: The final park master plan was unveiled and will be provided in an upcoming issue of the neighborhood newsletter (the picture of it at least). Karen O’Neil provided comment regarding some of the many features put into this plan which was developed by the board and the architect who is also working up options for the potential clubhouse project. There are many features and the entire park would ultimately be developed over many years with the final plan in place. Areas were included to expand the potential for larger “festivals” as Karen put it, a dog park, a multi-use field for soccer and baseball, additional parking, additional bathrooms, the clubhouse re-do whatever it might become, fishing piers in the lake in 3 places, moving the volleyball courts over by the rest of the sports courts (basketball, tennis, etc. ), removing the existing caretaker home/office and building a better one in a different location, expanding the pool deck about 15′ out into the golf course for swim team meets to help with congestion and ability to function more smoothly during these events, more landscaping completed, pathway expansion around the park, lighting and security cameras, etc. To complete the fully developed plan will be expensive and something all property owners need to be looking at. While it may be years for the entire implementation of the plan, property owners should be asking for input and consideration as to what is in the best interest of the neighborhood and how the property owners who pay for the proposed improvements feel about what should or shouldn’t be completed. Question: Did you, the property owner responsible for paying the assessments which will fund this park development, ever receive a questionnaire, survey or other request for input as to what you might want to see added to the park for this most recent master plan project? This does not include the survey that went out asking if anyone would like to see the clubhouse improved. Did you get anything to provide your feedback on the expenditure of your money or the priority you might see it should be given? Clubhouse Design: Karen provided a report stating that a wish list was provided to the architect from the survey about improving the clubhouse and he is producing a generic plan which is still underway at this time from that wish list. The board reported that there will be a vote requested of property owners whether or not to move forward on the plan at all once the plan is complete and that nothing on the master plan will be considered prior to the vote on the clubhouse. The plan is to be produced by October along with cost estimates, etc. Park Security Cameras: Approval by the board to install additional camera and security systems throughout the park are moving forward. Platting the Park: Scott Myles reported that the board is being told they will be unable to continue forward with additional work on improvements, etc. to the park without platting it at this time. The board voted to approve $15,000.00 for the platting process to take place. IT’S WORTH NOTING: An non-platted piece of land is assessed differently than a platted piece of land by taxing entities. We currently hold a tax-exempt tax status on the park which was negotiated prior to turnover that lowered our property taxes to $21.87 for the 30 acre park and its contents and valued it at $1,000.00 as an undeveloped park. That effort was completed by the then TPPOA working with the Bexar County Tax Assessors office and shifting it from developer status into being an undeveloped recreational area for property owners. There was a packet submitted and work done to achieve this status which at the time lowered the then taxes considerably. Property taxes continue to rise. A word of caution is offered to check and see prior to platting what platting may do to the property taxes for this parcel. SOCIAL EVENTS: Karen provided a rundown on upcoming social events, the hiring of two park monitors who have shirts on which say security and walk the events, and the upcoming 40th birthday of Timberwood Park which will be celebrated at the July Picnic in the Park all-day event. Karen was asked about the food trucks and whether or not the development received any proceeds back for their participation in the events and she informed the audience that there is no revenue provided back to Timberwood, the trucks provide permits and insurance and Spectrum handles all those details. A question was asked about whether the development is listed as co-insured on the policies for liability issues, and Karen indicated this was not necessary. Fireworks question: A property owner asked the question how the board plans to help manage the excessive use of fireworks during the fireworks season. Her comments were she felt like she lived in a war zone and they never stopped even when the curfew was passed or the dates that fireworks were to be legally used. The board discussed how difficult it is to enforce much on this and BCSO should be called as needed to help with problems which may arise during the fireworks season. Appointment of a board member question: A property owner asked the board why they did not choose to appoint the next highest vote getter from the December elections to the spot which was vacated by a board member moving? Since the next highest vote getter was the vote of the community, why wouldn’t they appoint the individual who received the next highest votes? The board answered that this was one view that could be taken, but they had the right to appoint as they saw appropriate and they felt that the next highest vote getter might not have fit well with the existing group of board members. The board further stated one of the reasons it feels it has been successful is because they all have the same vision and plan going forward. If you are representing the entire community, shouldn’t you also welcome diversity of opinion and other views? And, if the property owners voted the individual next highest in total votes received, why wouldn’t you appoint that individual acknowledging community decision rather than choose someone who didn’t even run in the election process? A FINAL COMMENT: The business of TPOA includes every property owner. You pay the assessment fees, you elect board members to represent you in the management of those fees and of our development. That is the business, not the social aspect of the community. Social events are amazing and a wonderful addition to the community, who doesn’t love a good party? They should not be the driving force for decisions made on behalf of the entire community. 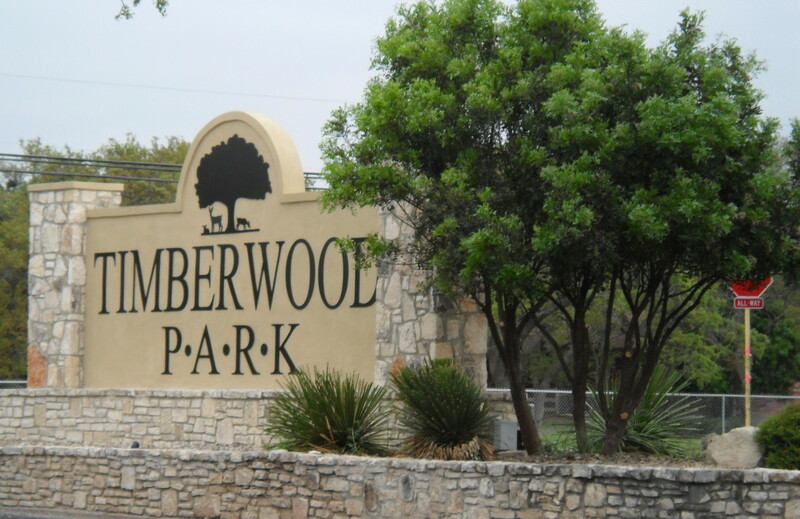 The business of Timberwood Park is managed by a group of elected volunteers who make up our HOA board and as such are there to represent all property owners. The biggest part of that effort should be focused on maintaining, managing, repairing and keeping up our common areas and existing assets while making fiscally sound decisions about how your money is spent. Managing funds wisely, ensuring those who handle facets of management of the neighborhood are held accountable for the work they are paid for while being paid accurately, and overseeing those who handle facets of the management of the neighborhood common areas should be first priority for any board. Continuing to receive feedback and involvement from the property owners who provide the funds to make it all happen is essential to a successful neighborhood HOA and will ensure property owners feel like they are an integral part in the business operations of Timberwood Park. Be involved in the process and keep your voice heard! UPDATE TO PROPERTY OWNERS NEED TO KNOW……. On-going discussions and research among a group of property owners who are interested in improving and/or correcting certain issues and concerns it believes exist regarding the business operation of our neighborhood HOA have resulted in a recent meeting being held between the HOA board and a member of the group who originally sought an audit of our HOA books. This meeting was professional and productive and it resulted in open discussion between both parties. Additional details, yet to be confirmed by both parties, were provided on both sides and there was a give and take by both sides regarding concerns and how to potentially work toward improving business operations in Timberwood Park. There are still open issues to discuss. The most recent previous blog posted facts which included actual 1099 figures for the years 2014, 2015 and 2016 for dollar amounts paid by TPOA to Spectrum Property Management for their management services those years. The blog further posted that actual 1099 figures did not match categories provided by Spectrum as being the only two sources of income from our HOA financials for which the 1099 is created for Spectrum. Those two categories were management fees and administrative fees. At the meeting, further detail was to be forthcoming regarding the 1099s and will be evaluated. Discussion between the TPOA board and the group is ongoing. As the discussion continues, the results will continue to be published appropriately. Until additional facts are fully distributed and explained neither side of the discussion has the entire picture, we just have the facts provided thus far. It doesn’t matter whether you support Spectrum, the board, the group, your own perspective, or some combination of the above, respectful conversation is valuable to bring everyone together at the end of the day. Each property owner is important to the process and your productive comments help facilitate further discussion as both sides continue to resolve the issues. There will be further blog posts providing additional details coming soon. Thanks as always for reading the blog! PROPERTY OWNERS NEED TO KNOW……. Because of an audit recently completed for the years 2014, 2015, and 2016, on our HOA books by an interested homeowner, some potentially troubling discrepancies and facts are coming to light which every property owner should know. This will be the first installment of information for you, the property owner paying assessment fees to our HOA. There will be additional information coming shortly. 1099 to Spectrum was $140,567.00. A discrepancy of over $61,000. Total discrepancies based on Spectrum’s statements (provided again by this link) that only the line items on our HOA financials which say Management Fees and Admin Fees cover their fees are over $141,000.00 in the last 3 years. Spectrum’s basic contract indicates an annual fee of $40,000.00 to be paid to them for management of Timberwood Park. It also allows for additional billing for additional services. However, even considering what was provided as the 2 categories for which they receive payment, there is a huge discrepancy which has no explanation at this time. Is this good management of our HOA dollars by our HOA board? 2. A further statement written into the Spectrum contract which both Spectrum and the HOA board signed, allows for every project which is over $75,000.00 to provide Spectrum with a 2.5% management fee. By example, and not even discussing projects we have already paid for, if the clubhouse were to be built today and costs around $1,000,000.00 according to our current management contract with Spectrum, they (Spectrum) will be paid $25,000.00 as a fee on the project in addition to the projects other costs. Is this good management of our HOA dollars by our HOA board?